Didn't notice this would wind up in the portal but, for a day, it's all good. You can change it afterward. Thanks HK. I hope the country hasn't forgotten. Well i am from the Netherlands/Holland and i can assure you that no one here has forgotten it. Seeing those pics,after all those years and seeing many more pics and documentries over time,still makes my stomach turn. I remember on 9/11 i was in the south of Thailand on holiday (Ao Nang/Krabi area)with my GF when i heard a lot of screams coming from angry tourists looking CNN in the bars there. Now this part of Thailand...the more south ,the closer to Malaysia you get,the more you get into muslim territory. want a part of Thailand for their own.You almost never hear anything about these attacks in the rest of the world unless it`s a big bomb at a shrine much ferther to the north in Bangkok. All i want to say is when 9/11 happened that day in Krabi i left that part of Thailand the following day because i simply didnt feel safe anymore. Now many years later yes they got Bin Laden dead but there is still Al Qaida,Taliban and even worse those @$$% from IS. Things did only get more bad. 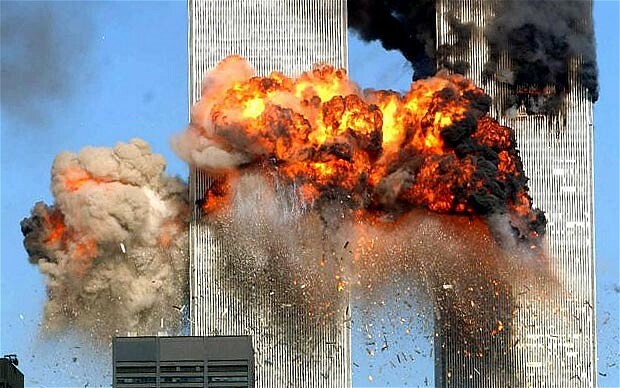 But we must remember what happened and not forget the innocents that fell on 9/11. Allow me to say god bless America,and not just because America and the allies freed my country in 1945. Btw, my grandfather fought in Holland. He was very proud to have helped.